March is roaring in but who cares if the weather is frightful? Inside gyms and arenas across the land, college basketball players are reaching for the brass hoop, and the crowds roar. It’s a beautiful thing, this March Madness. This year, it’s anyone’s game to win. Will Cinderella crash the party? Few college basketball seasons in recent memory have produced such a competitive field. Any one of a dozen teams could win it all, with the right breaks. This year more than many others, it may come down to the breaks. It will pay to know the players, and consider wild cards. Some of the traditional powers don’t even make the field this year, including Georgetown and my beloved Indiana Hoosiers, who didn’t even deserve an invite to the consolation NIT after stumbling through the home stretch. Upstarts are legitimate: Wichita State is the first team to go undefeated through the regular season since UNLV in 1991, playing in Larry Bird’s old conference. Virginia got a No. 1 seed after winning the ACC for the first time since 1976. Naturally, I’m tracking the event closely, as the inveterate basketball junkie, with a “virtual office pool” for friends and associates that is largely for bragging rights. 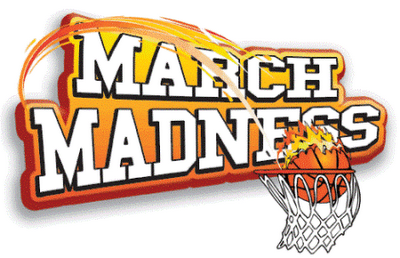 Bracket mania sweeps the cubicles heading into Thursday’s opening games, and Yahoo and Quicken Loans are teaming for a $1 billion payoff (maybe, if you act fast, and tell about your finances and take loan pitches, etc.). Games are cropping up all over. The Big Game is on the court, and I’ve been watching closely. Front and center are the shooting stars, the one-and-done freshman phenoms who are positioning themselves for a top NBA draft slot. Jabari Parker (Duke), Julius Randle (Kentucky) and Andrew Wiggins (Kansas) are auditioning for the pros. Kentucky has at least three other freshman players who will turn pro after this tournament, and many others will come out. 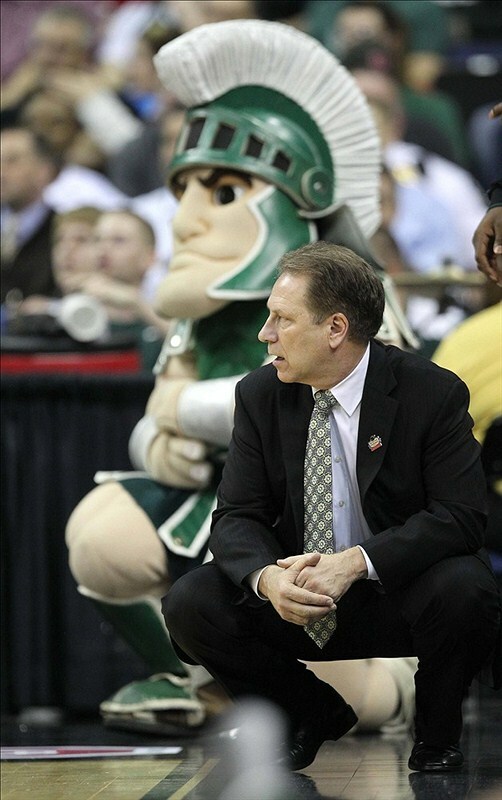 Will Tom Izzo lead the Spartans back to the Final Four? While the traditionalists may mourn the passing of the old college spirit, the steady turnover of all-stars hasn’t hurt the game that much, thanks largely to the coaches. If you follow college basketball, you know the coach is the most important part of the game – a teacher and motivator as well as crafty tactician, and strategist. Nowadays, he also has to be restoration artist, building a new team every year. Chances are good, once again, that Rick Pitino (Louisville), Tom Izzo (Michigan State) and Billy Donovan (Florida) will guide their teams into the Final Four, with five championships between them. The other guy could be Bo Ryan, the steady if unspectacular defensive guru at Wisconsin, who is due (and who may have the easiest road, through the West Region). But others are worthy, and I’ll probably change my mind before the ball goes up on Thursday. The phenoms at Kentucky, Kansas and Duke could will their teams into Final Four. Three great coaches lead those teams – John Calipari, Bill Self and Mike Krzyzewski – with multiple championships among them. 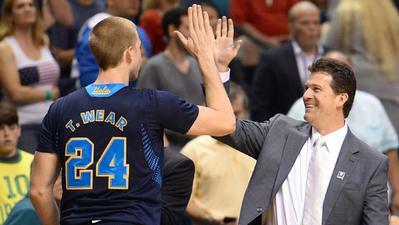 Does the Cinderella slipper fit Steve Alford and UCLA? Cinderella, oddly, this year could take the form of the winningest NCAA tournament basketball program in history, UCLA, with 11 national championships. The Bruins are back after many lean years, beating No. 1 seed Arizona in the PAC-10 tournament. Guiding UCLA is first-year coach Steve Alford, the shooting guard for Indiana’s 1987 NCAA champions. Also resembling Cinderella is Wichita State, which has a shot at being the first undefeated champion since Indiana in 1976. (I just can’t stop saying Indiana! Indiana! Indiana!) Leading the Shockers is Gregg Marshall, a Roanoke, Va., native who coached little Winthrop University to a series of NCAA tourney appearances before leading Wichita State to the Promised Land. Hmmmm. But the tournament poobahs appear to have stacked the deck against Wichita State, which will come out of the Midwest Region. Hurdles include Kentucky, Louisville, Duke and Michigan, coached by John Beilein, one of the smartest coaches around. Maybe it’s his turn to win a championship. Grab those brackets and jump in a pool! It’s March and the water’s fine. Income inequality is the defining and dividing issue of our time, as President Obama has reminded us in a series of speeches over the past few months. The huge gap between the richest 1 percent and the rest of us has been the subject of much debate and even “occupy” demonstrations targeting Wall Street greed and government inaction. But little is done, even though we have a prescription to reverse inequality and restore the middle class to our economy. The remedy is presented by former Clinton Secretary of Labor and economics guru Robert Reich, who recently took us on a Mini Cooper spin through income inequality and what it means to our society. Reich is the impassioned lecturer-in-chief in “Inequality for All,” a smart and insightful documentary detailing the historic nature of the inequality problem, and how it has come to a head. “Inequality for All” won a special award for documentary films at last year’s Sundance Film Festival but was ignored by the Academy of Motion Pictures. The Oscar-nominated documentaries were more dramatic and visual than “Inequality for All,” I grant you, but perhaps none of them as important. Without a major commercial ad campaign, Reich nonetheless is able to push it relentlessly through his social media network – and I’m happily caught up in that loop. 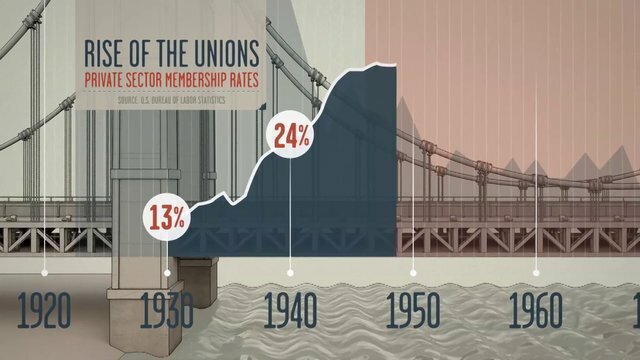 The image of the suspension bridge frames the largest income gaps — between 1929, ahead of the Great Depression, and then again in 2007, just before the housing bubble burst and our extended Great Recession. We have reached a period not unlike that of FDR’s New Deal in the 1930s, when we should be changing the rules of the game so that the destructive nature of income inequality doesn’t eat our middle class and collapse the social order. But the political system is responding slowly, choked by influence peddlers with a vested interest in the status quo. The robber barons of today have a lot more resources at their disposal for influencing both public opinion and political alliances. The Supreme Court ruling in the Citizens United case, allowing unlimited spending on political campaigns, has further stalled political action. 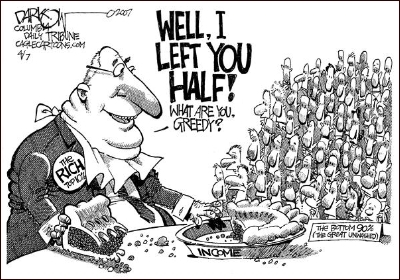 Still, nearly seven in 10 Americans say the government should act to make sure the rich pay their fair share and more Americans share in economic prosperity, according to a CNN survey a few weeks back. And that view has held remarkably steady: in 1983, 68 percent of Americans favored government action to narrow the divide. Today, that number is 66 percent. Raise the minimum wage. Many states have raised the minimum on their own, but it’s long past time for the United States to raise the federal minimum wage. We must ensure that fulltime jobs have wages and benefits that allow people to afford the basics. 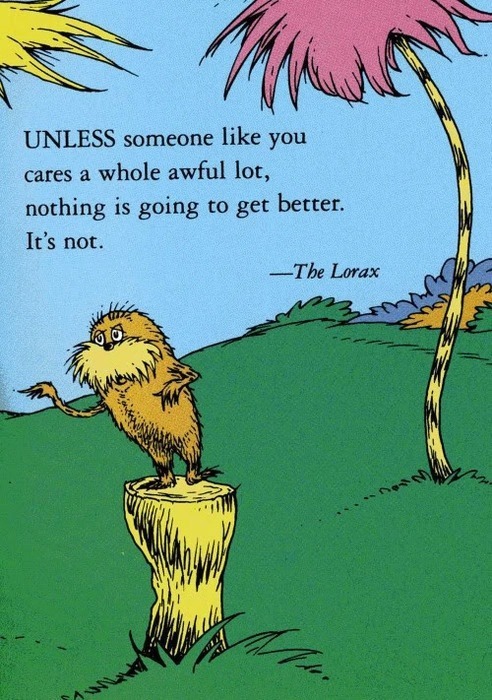 Strengthen workers’ voices. Unless employees enjoy the fundamental right to form and join unions to bargain collectively with their employer, they will continue to be undervalued and disrespected in the workplace. Invest in education, ensuring that everyone has an opportunity to a quality education, from early childhood to college. Reform Wall Street. We must ensure the financial sector is working honestly and accountably to prevent it from taking over our economy. Fix the tax system so that everyone is contributing a fair share. We must reverse the Ronald Reagan tax shift that benefited rich individuals and corporations and dumped on the rest of us. Get big money out of politics. New laws are needed to overturn Citizens United so that corporations can’t spend unlimited amounts of money on campaigns and in return affect public policy and spending priorities.